CSS stand for Central Superior Services of Pakistan and every citizen having Pakistani nationality can apply for Civil Services Exams if he meets all the terms and conditions of the exams. Get CSS English Essay Notes for competitive exams consist of twelve papers in total including six compulsory and six optional papers. English is considered as one of the toughest papers in all the compulsory subjects that an applicant should pass to clear the civil services exams. It is the fact that most of the highly qualified and talented people can’t even pass the competitive English exams because it requires special techniques and knowledge to pass the exams. What is English Subject Competitive Exam? This consist of different sections and applicant has to pass all parts or sections of the English paper to qualify the exams. Course including comprehension, paragraph/expansion, and grammar and précis section. All the questions carry equal marks making total 200 for the CSS this paper. English is imperative not only to qualify the exams but also to pass the viva and interview as well. English is part of official communication language, so it is important for the applicants to get hold of English as a language for effective communication in the office. It is one of the toughest papers to pass and most of the applicants unable to qualify for the exams due to their failure in the English paper. Learning this subject as one of the subjects or getting a professional certification in written and spoken English helps applicants a lot in the Civil Service Exams. Writing flawless, creative and well-structured English is crucial to qualify the paper. Therefore, if you are planning to appear in the exams in the coming years, then you should take the class or get a professional degree that will help you to appear in the exams in the future. Though our education system is unable to deliver quality education that results in poor this subject, the low literacy rate in the country and lack of access to better education system result in an inadequate performance in the education sector, particularly in this subject. However, if you have any English degree, then it is entirely fine. There are many books, websites and tutors available that can help you to learn this subject over time. This subject consists of multiple sections assessing writing, analytical and vocabulary of applicants through various questions. An applicant must have a good vocabulary, cram idioms, able to answer questions and they should also be able to write essay and comprehension answers. An applicant should be able to write flawlessly without grammar and spellings mistake to pass the paper. Essay, Précis, comprehension and a broad range of multiple choice questions must be cleared by the applicants to quality the paper. English comprises of various branches, and each section assesses different skills of candidates. The essay is the most important part of this subject, and it covers a broad range of topics. It doesn’t consist of any particular subject but rather include current affairs, national issues, social problems and a wide variety of topics for the CSS Exams. Most of the applicant also rely on the past papers for the exams and at the end they find it difficult to attempt the paper. Practice makes the man perfect, so the same goes with précis and composition. 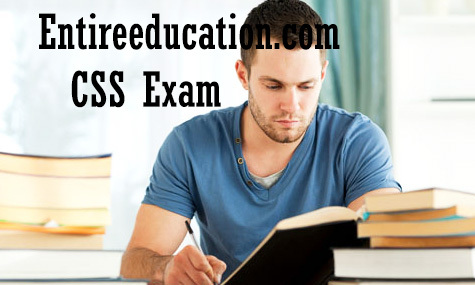 The more you read, the better are the chances to attempt the comprehension in the CSS exams. The second part is paragraph/expansion, and there is a rule to complete this section of the exam which will discuss later. How Can We Prepare For CSS Exams? There are lots of ways to prepare for the exams If you need online academic writing help, If you need online academic writing help, look at this CustomWritings.com – English essay writing service which hires real experts. First of all, the applicant should read books suggested by regulatory to cover most of the part. 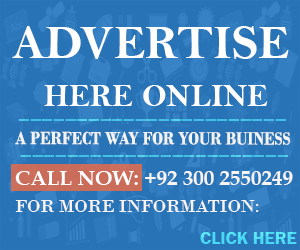 There are many websites to consult to prepare this course including the official forum of a competitive exam that offers lots of tips and tricks with material for the CSS aspirants. Consulting seniors, taking professional’s help and getting training from academies will help the CSS aspirants to pass the exams. Read daily newspaper, develop vocabulary and practice writing for the exams. There is no key to success besides doing hard work and practice. So, if you want to pass the CSS exam and get qualified for the exams, use all the tips mentioned above.